When many people think of comic books, they still picture superheroes saving the day and cartoon bubbles with words like “Ka-Pow!” in bold font. But there is a whole intriguing world of comic books out there that sheds light on a particular and more realistic experience. 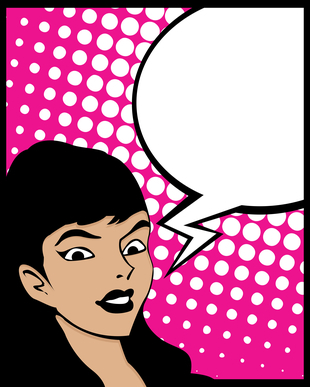 We at 614 were interested in what Jewish women comic book writers had to say in their works about their religious identity and whether they shared cultural themes in their writing. Read the interviews with the diverse group of authors we selected and see for yourself. Why Sarah Lightman is so determined to bring exposure to the works of Jewish women comic book writers. What a wonderful issue! Congratulations, Michelle. I’m off to the library to look up some of these wonderful choices.